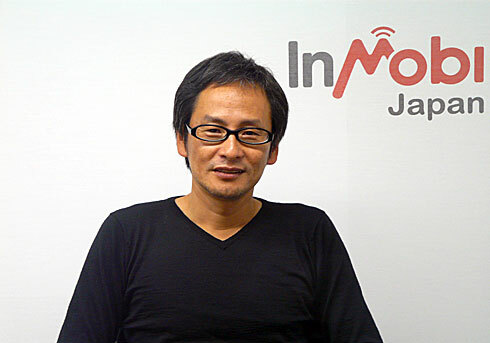 The article below is a translation of an interview with Hidetaka Tembata, president of InMobi Japan. The article first appear in Bizmakoto, a popular business publication in Japan. The original article can be found here. As the use of smartphones and tablet devices spread, the mobile advertising market is quickly expanding. InMobi, a venture backed company from India, has become a powerful player in this market where they are expanding ad network*. They are currently in fierce competition with AdMob, which was acquired by Google in May 2010, and in the summer of 2010 they established InMobi Japan and entered the Japanese market. The $200 million investment they received from SoftBank in September 2011 also became a subject of hot discussion. * Ad network: A service in which the company distributes advertisements to a network of multiple media websites for advertisers. What does this expanding market’s top runner have it’s eye on? 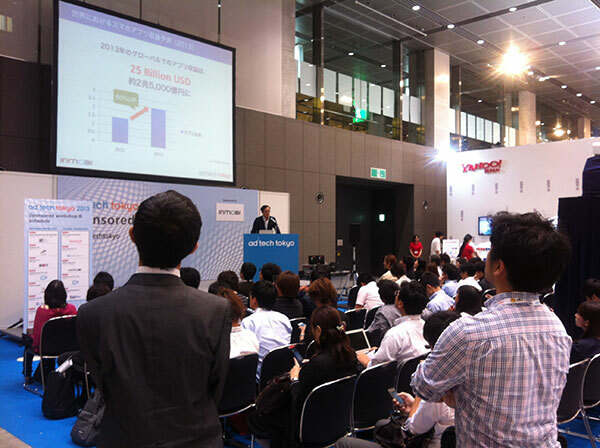 We asked InMobi Japan President, Hidetaka Tembata about the mobile advertising market and it’s future. Q. Please tell us about InMobi services? Tembata- We provide ad network services around the world and it is our job to connect advertisers to media on new devices such as smartphones and tablets. For example, the following video is a recent Samsung ad. To view the movie FLASH plug-in (version 8 or above) is required. As you can see, it is more like a service than it is an ad. The ad is part of the content, and we plan to focus our efforts on this for the next phase. Until now, internet advertising simply ended by diverting users to the corporate website, or there was user registration or downloading of applications, but this is starting to change. This kind of rich media advertising* was only possible through HTML5 coding until recently, but now if you use tools such as Sprout’s AdVine, you can make ads in the way you use Photoshop. InMobi acquired Sprout last August. *Rich media ads- Advertising on the internet that uses video or audio and incorporates mechanisms that accept responses from the users. Making ads such as the Samsung ad used to not only be very time consuming, but it also cost a lot. To make an ad like that on your own using HTML5 coding usually took about 3 weeks and cost about $10,000. But if you use AdVine, as long as the material is ready, it only takes about 45 minutes to make and if you go through InMobi, you can use this tool for free. It used to be difficult to make high maintenance ads, but now it is possible that these types of ads will increase. Furthermore, smartphones such as iPhone and tablets have a global and open platform so the strength of InMobi is that it can make the ads global. Q. Please tell us about the overall situation in the mobile ad network industry? The industry’s No.1 is AdMob, with 75 billion impressions* a month, No. 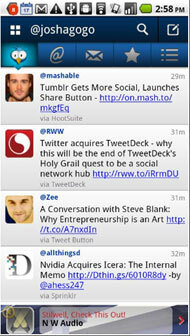 2 is InMobi with 50 billion impressions a month, and a slightly far No. 3 is Millennial Media with 23 billion impressions a month. *Impression: The number of times internet ads are displayed on websites. InMobi and AdMob are global, but Millennial Media is only in the U.S. If you break it down by region, AdMob is No.1 for the U.S. and Europe, but for Asia and Africa, InMobi is No.1. When InMobi first started the focus was in Asia, so there were not many impressions from the U.S. and Europe. Recently, our ratio in Asia has decreased, but within Asia, we are growing in China, Korea and Hong Kong. We are growing in Latin America as well. Right now, we are working on expanding globally through acquisitions of various players, and only InMobi is opening local sales offices while expanding. Q. In which regions do you have sales offices? Of course the main office is in Bangalore, India. In Asia, we also have offices in Singapore, Seoul and Tokyo. In the U.S., we have the regional office in San Francisco, and also an office in New York. In Africa, we have the regional office in South Africa and the regional office in Europe is in London, with additional offices in Paris, Germany, and Italy. We have also opened an office for Latin America in Brazil. We carefully look at where there is potential growth. We look at the growth potential of the market and what kind of customers are there, and then plan the timing of when to expand the network. Q. My impression of rich media advertising companies is that they are strong in the U.S. and Europe, but weak in Asia and Africa. Why is it that you are strong in Asia and Africa? Interestingly, we have the most examples for rich media advertising at InMobi in Asia. The impression of Asia as having principally feature phones with text ads is already changing. Yamaha, Adidas, and Nike all use rich media ads and they are all marketed toward Asia. I think this is because InMobi (which develops rich media ads) has a strong presence in Asia. In North America, InMobi is still behind Millennial Media and AdMob, so in that sense we are not yet doing enough. Q. Why are there so many impressions in Africa? I was also quite surprised at this when I first joined InMobi, but we have a lot of traffic from South Africa, Kenya, Nigeria and Algeria. Right now, mobile networks are being built at an alarming rate. Chinese companies are especially entering this market and in exchange for resources they are providing free mobile infrastructures. Q. What are the merits of going global? 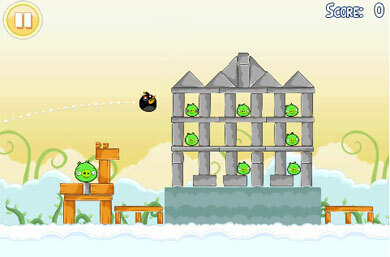 Not only in media, but also in cases such as the “Angry Birds” game, there is traffic from tablets and smartphones from all over the world. For such traffic, if you try to match the ads, you much first have offices around the world to find advertisers or you cannot meet all of the demand. Although for media, traffic comes from all around the world, advertisers are still only interested in investing locally. Some players try to deal with this through partnerships, but unless you have your own office for sales activities, it is impossible to bring on advertisers from the outside. The only ones who can fill this kind of gap is InMobi and AdMob. Millennial Media is very strong in the U.S., but most of their partner media only have traffic focused in the U.S. With the current trends of the media going global on an open platform, I feel that they are a different kind of player. Most of InMobi advertisers are local only, but companies like Samsung, with the ad I showed you in the beginning, promote globally and even our rival Google uses InMobi for ad placement. 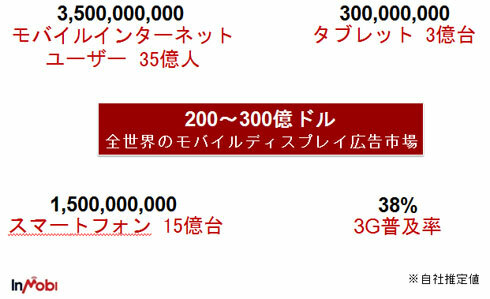 As for domestic players, DeNA and GREE, who are aiming to enter overseas markets, have ads placed for the U.S. Other advertisers in Japan are also placing ads not only in Japan, but in the other growing Asia markets. For example, although Toyota does not place ads in Japan, they do for overseas markets. Q. What about for government related advertisers? We have consulted travel related advertisers such as the Tourism Australia and the African Tourism Board. Also, as for Japanese advertisers, many of Japan’s high end real estate clients are now the rich in Asia. Before the Great East Japan Earthquake, most of Old-Karuizawa sales were bought by Chinese, followed by people in the IT industry. For Hawaii as well, which has started a direct flight from Shanghai (from August 9th), many more Chinese will start buying property there. We have also consulted those who aim for these markets. Q. Isn’t it the case that most advertisers use InMobi and AdMob at the same time to place ads? It’s true that there are many of these cases, but for example in Japan, NTT Docomo only places ads through InMobi. At InMobi Japan, we don’t allow registration of advertising media by only online registration. At AdMob, if you register online and simply request to “register my website,” you can register, but at InMobi Japan we do not allow this. When we get a request, we first check the quality of the website and only if the website qualifies, we register them as partners. Although it is rare in ad networks, we are closed. 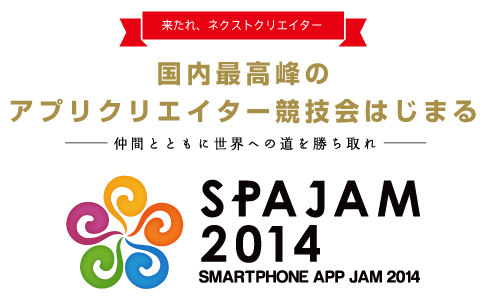 However, because of this a standard of quality is maintained and that is why NTT Docomo chose us. Most advertisers really worry about which media the ads are placed, but most ad networks do not say where the ads are placed. At InMobi, not only do we maintain quality, we also have a system that allows the advertiser to track where all their ads are placed. Furthermore, the media side can also track which advertisers placed ads on their website. Another rare feature for an ad network that we provide is that we also allow the media to block advertisers individually. * They can see the result of placed ads and take it off if they don’t like it. * AdMob also has a similar function. Q. What kind of differentiating factor on the platform did the acquisition of Sprout make? Sprout’s AdVine has also been used for AdMob and Millennial Media ad production. And even after the acquisition of Sprout by InMobi, AdMob still continues to use AdVine. Therefore, although we don’t plan to do so in the U.S. and Europe, in Japan we plan to ask that “if you are using AdVine, please do so through us.” For AdVine, we have a lot of accumulated know-how so that is a big plus for us. Q. What is the size of the market for mobile advertising for the entire world? Probably about 200 billion impressions a month. Q. How much do you think it will grow to in the future? Right now China is not really counted in the number. Since the number of smartphones in China is growing at an alarming rate, if you count those as well, I think potentially it will become 5 times more in 1~2 years (1 trillion impressions a month). I think even for the number of PCs in the entire world, it will be about this much. When I talk about this kind of thing, many think I am bluffing, but usually 6 months after the bluff, it turns out to be true. Q. It feels like even a new player can easily exceed an existing player? In this industry, you are fast to win, but also fast to lose, so it’s hard to say. However, the important point of ad network business is not only the technology. By expanding on a global scale, the question is how big you can make your network of advertisers. Even if you tried to go on a global scale now, I think it will be difficult. For example, if Millennial Media wanted to make a new office in Japan or Europe, it will take about 3~6 months. We have already entered a phase where you cannot wait 3~6 months, so I think it’s impossible. However, it can’t be helped that a player in a different shape will come up. You never know if the No. 1 company for PC ad network will also be the No. 1 in the smartphone world. Q. Facebook is not included in InMobi’s partner media is it? Facebook and Twitter are media companies that want to do their own ad business. 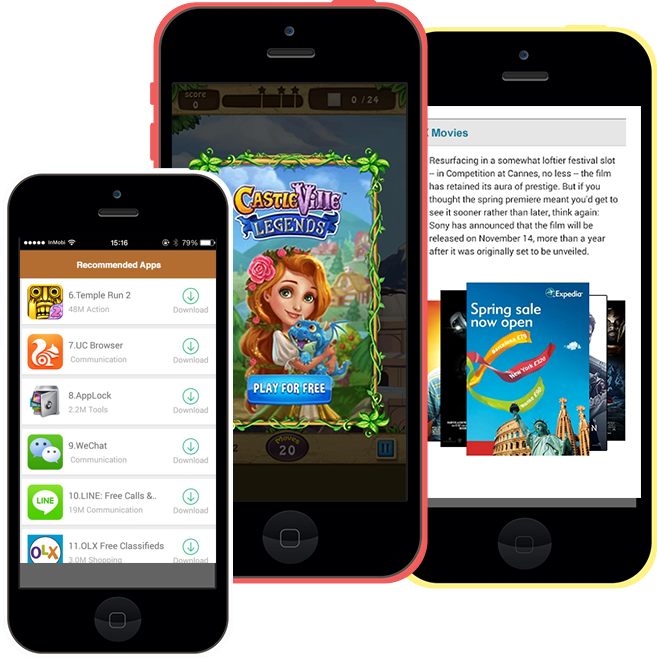 But many related applications are included in our partner media. Right now those players get more traffic than Facebook and Twitter. For example, the site that gets the most traffic on tablets in Japan is “TweetCaster”, and they are InMobi’s partner. For SNS type systems, they don’t aim to be closed to begin with so we simply have to establish the surrounding ecosystem (as partner media). Q. You mentioned earlier that in 1~2 years the number of impressions will grow to 1 trillion. Do you think that the most growth will be in China? In addition to China, I think growth in Japan will be large as well. I think that there is a strong assumption that Asian markets tend to use feature phones, but in India and Indonesia, the use of smartphones are increasing at an alarming rate. Hong Kong and Taiwan are also showing amazing growth and in Korea, probably over 50% of new contracts are for smartphones. Another feature in Korea is that everyone uses Android. 90% uses Android and every time I look at the weekly report data, the share of iOS is decreasing. Meanwhile in China it’s mostly iOS. In China, Japanese applications are surprisingly commonly used. Q. What is important to continue to be successful? Obviously we must differentiate ourselves from Google (AdMob). We also have to continue expanding globally. The important point in differentiating ourselves from Google is for InMobi not to get into PC ads, and although we will continue to look at next generation devices, we will focus on expanding mobile advertising. Additionally, we are aiming to move towards more high-end rich media ads. In September we received a $200 million investment from SoftBank and our strategy moving forward is to invest that money in technology or invest in companies who have the technology. I was part of some of the negotiations so I heard a lot of the conversations, but I think the main point is that he thinks Asia is the “growing market.” So I think that is the reason why he chose InMobi, who is by far the No.1 in Asia. Also, he says that after Asia, the big growing market will be Africa, so because InMobi is also by far the No. 1 in Africa, I think he chose us. As for InMobi, because SoftBank is entering strongly in the Chinese market, we hope to work well with them in this area as well. Q. What is a risk that you are afraid of? Because we are entering a new stage now, we are thinking about compliance that is suited to the company size. Right now we are at the 1st or 2nd year of the beginning of a paradigm shift (transferring to smartphones), and I don’t feel that there will be a risk of an even bigger paradigm shift in this business. However, what I think is most threatening is that if a player with capital power comes up with a different style. A player, that is different from Google. Q. Do you mean Facebook? When a global service player gets involved with InMobi it is likely that it is to acquire (rather than invest like SoftBank), so I am glad that this was not the case. Although I am not sure if that counts as a risk or an opportunity. Q. Please tell us what your future prospects are? By 2014 we imagine ourselves to be in the situation shown in the below graph. To make this a reality, there are a few “if”s involved. Q. What is the current situation like? Right now, 3G penetration is clearly less than 20%. As for smartphones, there are now about 200 million. I am not sure about the numbers for tablets. The number of mobile internet users is probably at least nearly 1 billion. In the past, the penetration rate of mobile internet in Japan was over 80%, while in the U.S. only about 15%, and China about 3%, but now this is clearly changing and the U.S. is now at 40% and China about 20%. The way of thinking is constantly changing and although it may seem like a bluff now, when thinking for the year 2014, it is not a bluff at all.